Pat Kinevane is returning to the Belltable theatre in Limerick to perform a new play set inside Clery’s of Dublin from December 5-6. BEFORE is the story of a father who is trying to decide on a gift for his daughter who he has not seen in 20 years. Belltable Limerick’s Gil Fenton said that the play was a one-man show and that she was excited to see Pat Kinevane dominate the stage. “It’s brand new and he has also collaborated with the RTE orchestra, so actually he is calling it a musical, so it will be interesting to see how that actually works”. 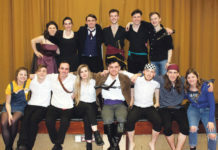 The play was initially booked in for one night but sold out, so the organisers had to issue a second night of the performance. Gil Fenton said that Pat Kinevane is excited to come back to Limerick after having performed at the Lime Tree and Belltable in the past. 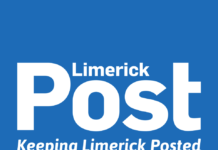 “He just loves the Limerick audience and he really enjoys coming back to Limerick, so I want to make sure as many people know about it as possible”. BEFORE was commissioned by Fishamble and is produced by the team that produced ‘Forgotten’, ‘Underneath’, and ‘Silent’. 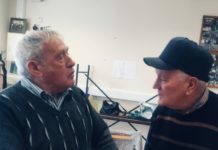 Gil Fenton said that they were reinforcing their relationships with companies like Fishamble who take chances regularly with new work to deliver to the Limerick audience. “We have a really special relationship with Fishamble, and they have been with us every year for the past six years”. She added that the art circle in Ireland was small and that the relationship between directors and producers was a very positive one. 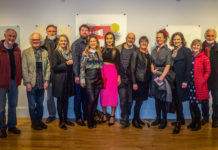 Gil Fenton said that it was a great feeling to be part of that circle and to employ local and lesser-known actors to stage plays that the Irish audience can enjoy.